Blog Action Day 2012 – The power of We. When I’m having a ‘glass half-full’ day I see a very bleak future for our world. It’s not the prospect of a nuclear apocalypse or a killer disease, it’s down to who is influencing the food chain. After all there are three fundamentals to life: air, water and food – control of one of these is pretty mind blowing. On a dark day, I reflect how carelessly we have entrusted the latter to a handful of big conglomerates, chemical companies, retailers and speculators (in the form of commodity trading). We’ve already reached a dystopia where farmers are prosecuted when GM seed lands in their crop and contaminates it, where cows, pigs and hens live and die their short existences without every seeing a field or day-light, where a innocuous crop like soy can be mechanically processed to such a degree that it is included in just about every food stuff, from animal feed to confectionery, so when there is a shortage prices rocket sky high. Pizza is classified as a vegetable because of political lobbying, health infrastructure is under huge strain due to diet-related illness, our landscapes are being reshaped, precious land is being built on and farmers put out of business due to ‘market-forces’. On these dark days I see mankind living from hand to mouth, our children malnourished and these halcyon days of freedom and choice (that we seem to have squandered) being looked on with incredulity and nostalgia. At times like these I need to believe that it’s not all one way and there are people with integrity and common-sense who can temper the effects of those having a malign influence on our world. People who take the spark of an idea, however small, and make a real difference to one part of the food chain. The BBC Radio 4 Food Programme is one beacon of light. From light-hearted topics like gadgets, to honouring food heroes such as Major Patrick Rance and George Perry Smith to highlighting global food issues such as the price of coffee and cocoa. 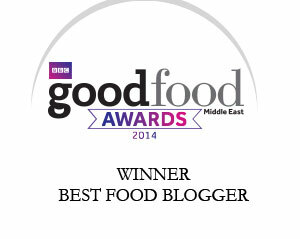 One recent episode about trans-fats, presented by Sheila Dillon, won an award at The Guild of Food Writers Awards 2012. The over-riding message that runs through the programming is that people care about food and are doing something about changing the food landscape. The BBC Food and Farming awards highlight excellence in many areas, from best street food or takeaway to best dinner lady or public caterer and from now until 28th November the Food Programme will be relating stories of this year’s finalists. This shortlist has been compiled from hundreds of nomimations from the general public. I nominated Kilchoman Distillery and am delighted that they’ve made the final. 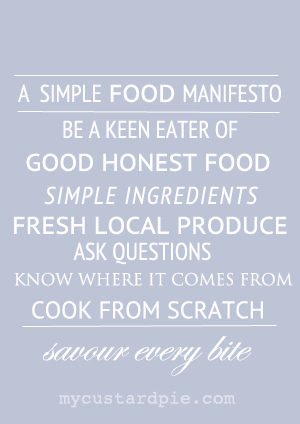 The most encouraging thing about the Food Programme is that it highlights not just passing fads (free-from diets, cupcakes etc) but issues, good and bad that affect our attitude to food locally and globally. One of the most encouraging statistics I’ve heard recently is that there are 200,000 bio-dynamic compost heaps in India. Modern industrial agriculture promised a better way with a population of 1.2 billion mouths to feed. In fact it’s had a detrimental long-term effect, sapping the land of nutrients, depleting the water table and in recent years the biotech industry has forced many farmers into unmanageable debt leading to high rates of suicide. 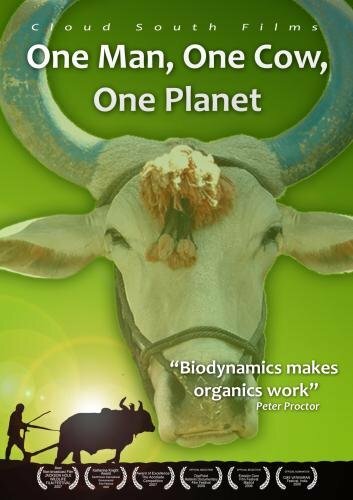 The film One Man, One Cow, One Planet shows the positive impact of biodynamic agriculture pioneer Peter Proctor, who is working with thousands of farmers in India, which offers an alternative sustainable blueprint to grow our food and to feed the world. The theme to this year’s World Food Day (October 16th_ is “Agricultural cooperatives – key to feeding the world”. It has been chosen to highlight the role of cooperatives in improving food security and contributing to the eradication of hunger. Although there is still a lot more to achieve, since I wrote for Blog Action Day last year, Hughs’ Fish Fight has had a meaningful and lasting impact. I joined the campaign by sending dozens of emails to lobby MP’s – another example of the ‘power of we’. UK Supermarket sales of sustainably-sourced fish have soared and people are now consistently buying new types of fish. McDonald’s announced that over 13 million customers every day across Europe will be able to buy Marine Stewardship Council (MSC) certified sustainable fish in McDonald’s restaurants from October this year. European Fisheries Commissioner Maria Damanaki has pledged to end ‘the nightmare of discards’. More than 200 MPs signed an Early Day Motion to discuss discards as a result of us lobbying them. Over 60,000 emails were sent to MEPs from the UK. By 2014 all UK tuna suppliers will have changed their fishing methods to protect sharks and turtles. Now only sustainable fish will be served at Whitehall, prisons, civil servants, and parts of the armed forces (UK). I hope that that some of these impacts will have a knock on effect on the success of the ‘Choose Wisely‘ campaign in the UAE. 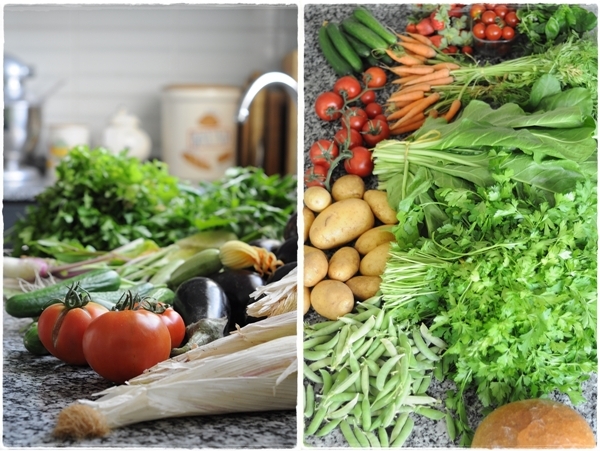 And finally, while the arguments for local production of food in the UAE are by no means cut and dried (farming in a desert landscape) the growth in choice of fresh produce driven by the Baker & Spice Farmers’ Market on the Terrace, the Ripe market and shop, Greenheart veg boxes, Go Organic and Blue Planet Green People makes every day a brighter one for me. A real alternative to rows of sad-looking, tasteless, under-ripe supermarket fruit and veg flown in from as far as the US, Argentina and Australia. Plus the majority of the vegetables for the up and coming International Fine Food Festival have been grown locally and organically by Organiliciouz demonstrating that old models can be broken where people have passion and vision. ‘The Power of We’ helps me remain optimistic for the future. To keep in touch with everything going on today on Blog Action Day use the #PowerOfWe, #BAD12 and #Blogactionday hashtags across social media. I’ll leave you with this video from Irene Kharono from ActionAid Uganda who is participating in Blog Action Day. She talks about the land grabs that are affecting her country and many poor small-holder farmers around the world and why the Power of We is important in tackling this issue. So what do you think we can do to change our food future for the better? 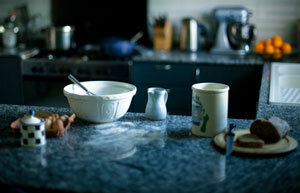 ← A recipe for life? Sally, I could never have said this better than you. When I think of all these things affecting food, the way we eat and the illness as a result of agricultural practices today it makes me desperately sad and panicky. I truly believe that it’s the little things that each individual can do that can make a difference. It’s reaching and educating those that don’t care and/or don’t know that will make a difference. I salute you for being one of those trying to make a difference by the way you choose to shop. Wow Sally. That is one thought provoking Post. A post from the heart with a big important message. Well done for reminding everyone what is going on around them and what we can do about it. “there are people with integrity and common-sense ” That is our hope. It all flows from what is within. 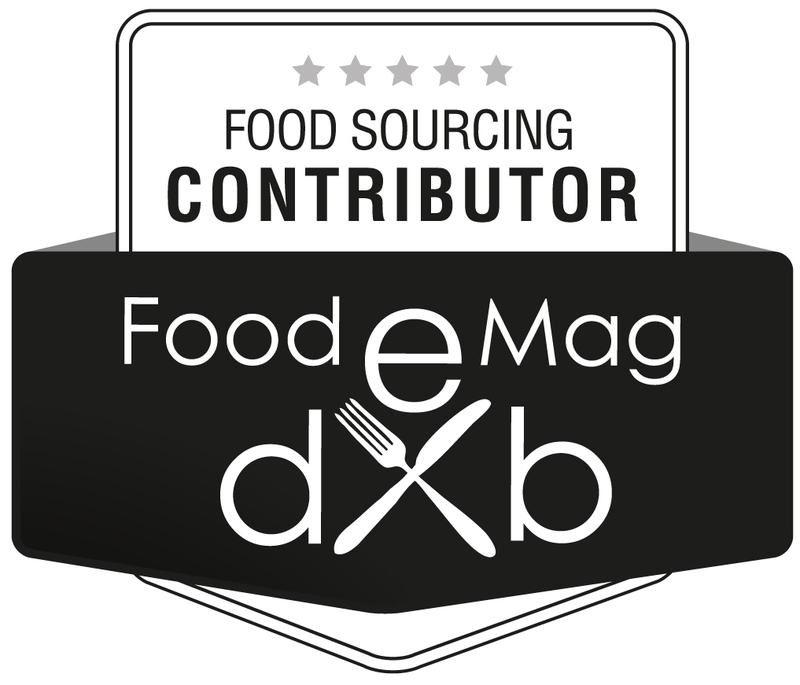 Sally these are topics I handle very regularly in my food column “When Hunger Strikes” for the Khaleej Times in the wknd magazine published on Fridays. I have taken on trans fats, organics, local farming, the ills of factory farming, sustainability in our food supply, eating seasonally and a range of socio-political issues related to foods. As a farmer’s daughter, I know all too well how real food grows and tastes and that consumers are really the ones with the power, if we take the time to properly inform ourselves. Very well written Sally..and a thought that crosses one’s mind almost everyday..what with everything that is GM,hormone pumped or ladden with layers of pesticide…It’s time to make small changes in our lives…even if it’s a small one..I fear often for our kids and their future as they will be subject to more of this imbalance…so imprtant to educate them well and gear them to make right choices…A very thought provoking blog post. Amazing post Sally – you need to come back to the motherland NOW and take charge of DEFRA! It’s good to see you doing as much as you can believing in the ‘power of we’. This is one issue that keeps on ticking at the back of my mind – I’m cooking for my girls with so much of love and so much of care, but is there anything more that is also trickling down their throats into their body that I don’t have much control over? I come from a city where people have their homes built in compost grounds – for them what they are eating is not as crucial as to whether there’s something to eat. But for the rest, yes I see a lot of difference in perceptions and increasing awareness regarding the movements in the food chain. There’s lot of things the MNCs can do. The links that you have provided is great… and yes, this is what attracts me to your Custard Pie – there’s so much more to the Custard and the Pie than just eggs, sugar, flour and milk. Wow. You are so passionate and knowledgeable about this topic. Sally, I think you should really consider doing a small scale workshop on this. Educational discussion about these topics with the bloggers, in a place like MAKE or some other such sort. I’d pay to come and listen, learn and become aware, I really would. I love the concept of the power of WE! A lovely post & very powerful too! I lovead reading about it all! Thank you for a wonderfully powerful and information-packed post, passionately written. The issues here are ones that affect all of us, even if we choose to ignore them. It is a reminder that it is not only the big guns who can make a difference. I think you have really raised a call for action. I hope this post gets picked up elsewhere. Such a thought provoking post, Sally, thank you! Good to see that things like Hugh’s Fish Fight are really starting to make a difference! I was gobsmacked at the recent Food Programme on food waste or surplus whichever way you look at it. We waste so little food in our house and any surplus gets fed to the chickens. I hope that the movement around minimising food waste/surplus grows exponentially soon and there can be more food justice in the developed world. There really is no excuse. When we really tackle our own food poverty issues then the greater the likelihood that we can help the developing world. Oh, forgot to say, this is a brilliant post. Thanks for taking the time to share your thoughts. I don’t know how I missed this post earlier! Thank you for bringing these issues to the forefront. Awareness and education is definitely the first step in changing our food future. I have been making the transition to going organic, shopping locally and being mindful of buying sustainably-sourced fish for the most part of this year. Perhaps just doing isn’t enough… making a case for the reasons why and spreading the facts is also important. Sally, Thank you. This is a call to arms, not to march with sticks….but to increase our consciousness, to know that our choices matter and mean a little and a lot. I believe there is no greater power than awareness. When someone is able to make us understand in very simple and compassionate terms what the consequence could be of certain lines of action. With awareness, comes education and then actions to improve, to correct, to help. I am learning more daily!